“That’s one small step for man. One giant leap for mankind.” The DSN received and relayed to the world the first TV images of astronaut Neil Armstrong setting foot on the surface of the moon in 1969. The historic network enabled the world to see the first-ever image of Mars, obtained by NASA’s Mariner 4 spacecraft in 1965. Mariner 10 returned images of Mercury’s surface in 1974. NASA’s twin Voyager spacecraft were the first to fly by Jupiter, Saturn, Neptune and Uranus, capturing the first close-up images of these planets, plus some of their rings and moons. The DSN also relayed Voyager 1’s portrait of Earth from 6 billion miles away, the iconic image Carl Sagan called “The Pale Blue Dot,” as well as the spacecraft’s entry into interstellar space. During 1963, the DSN’s first year of operation, it communicated with three spacecraft. In 2013, space was a much busier place with the DSN communicating with 33 spacecraft across the solar system. The DSN sends commands to spacecraft and receives telemetry, engineering and scientific data. While the DSN tracks, sends commands to and receives data from all NASA spacecraft beyond the moon, the network also supports spacecraft from the European, Japanese, and Indian space agencies. 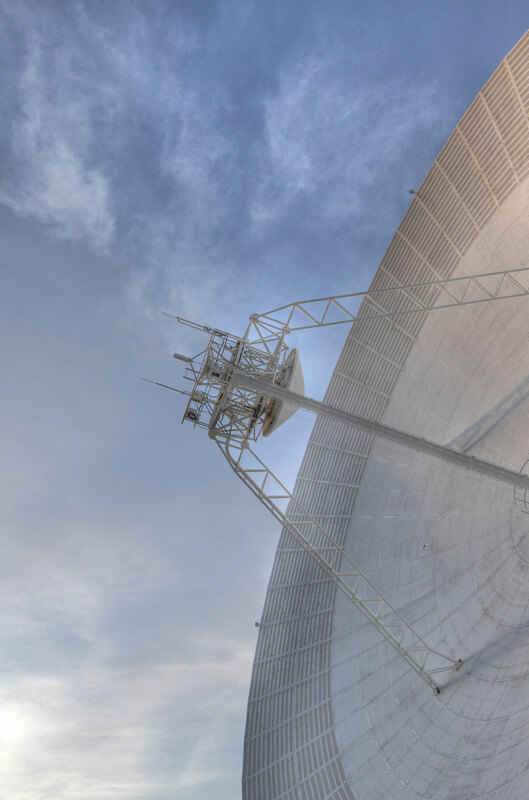 In addition to its crucial role in two-way spacecraft communication, DSN dishes make direct science observations. There’s radar science, in which waves are bounced off objects such as passing asteroids to create radar images; radio science, where changes in the steady radio link between a spacecraft and the DSN reveal the internal structure of another world; radio astronomy, which looks at naturally occurring radio sources such as pulsars and quasars; and geodetic measurements, which reveal changes in the crust of Earth by tracking how long it takes a radio signal from a quasar or other astronomical source to reach different telescopes. The DSN was called on to support the nerve-wracking Apollo 13 mission after the rupture of an oxygen tank forced NASA to abort the planned lunar landing. During the critical re-entry of the capsule, it was essential that engineers on the ground maintain contact with the astronauts on board. The spacecraft’s minimal power was needed for re-entry, with little left over for communications. The DSN was able to capture the “whispers from space,” and helped bring home safely Jim Lovell, Jack Swigert and Fred Haise. Each of the three DSN facilities around the globe has a different native species as an unofficial mascot. Goldstone in the California desert has burros; Madrid has bulls; and Canberra, Australia, has kangaroos.